Teach cloud formation when there's not a cloud in the sky! 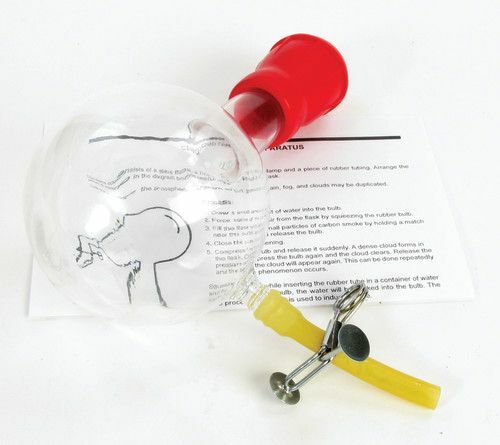 This apparatus duplicates atmospheric conditions during cloud formation. 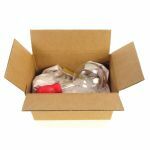 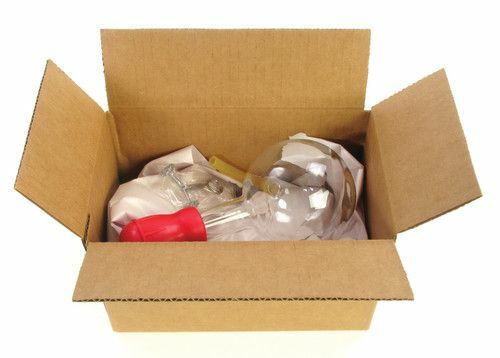 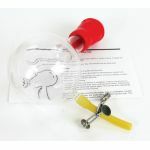 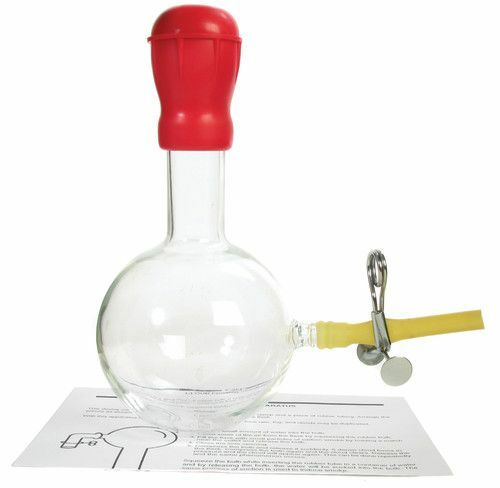 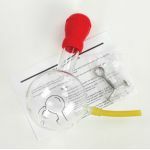 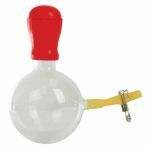 It consists of a special glass flask with a rubber hose connection, pinch clamp, and large, thick walled, rubber bulb. 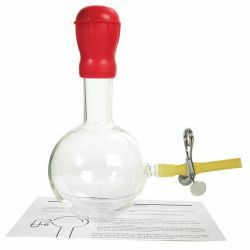 When the atmospheric pressure is lowered, smoke particles are introduced into the chamber and a nucleus for the formation of water droplets is produced. 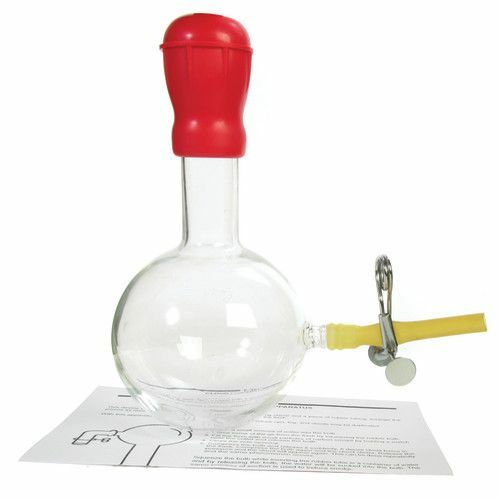 By compressing and suddenly releasing the bulb, a dense cloud forms in the flask.